I couldn’t break her when she’d finally been put back together…when she was finally mine. Not yet…I needed to hold on to this lie for just a little while longer to keep her safe. They say your life flashes before your eyes when you come face to face with mortality. The memories that mean the most, profound moments that have left a lasting impression. But in the final seconds before I surrendered to the darkness, it was her face that flashed before me—my angel, my every breath, my life. The conclusion to the ”Every Breath” duet has London placed right back in the middle of what would seem to be another love triangle. Her relationship with Sam is blissful and they’re both completely swept up in their feelings for each other, but just when things couldn’t get any better, London’s Ex-Husband decides to resurface after having been out of her life for over a year. Hunter wants another chance with London and he’s got a secret that could wind up ending things between her and Sam. There was so much potential to make this an extremely angsty love triangle but I felt that the author missed the mark. There was never really a competition between Sam and Hunter. The author made Sam out to be this perfect man with hardly any flaws and Hunter was a hot mess. The playing field was not equal. It’s crystal clear as to who is the best man for London. Honestly, I don’t even think she was good enough for Sam. The fact that everyone could see how much in love Sam was with London, but she didn’t have a clue the entire length of their friendship seemed pretty preposterous to me. Women usually aren’t that clueless. Towards the end of the story, I could sense that the author had a lot of ideas for the plot progression but wasn’t able to tie it all together perfectly. The story was good but it could have been amazing. 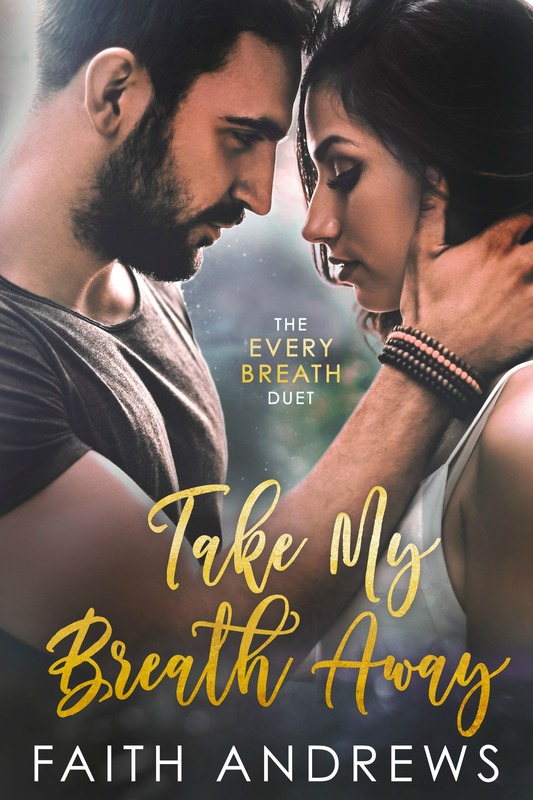 TAKE MY BREATH AWAY is currently available.